What happened to the stay hold pieces, are they needed? Not any more! As of spring 2018 this Media Basket has gone through a re-design. We have included laser cut neoprene pieces under the wings that hang on the baffle walls. This creates friction and helps prevent the Media Basket from moving backwards towards the rear wall. The Media Basket is overflowing, what can I do? Make sure the filter floss is not full and clogged. 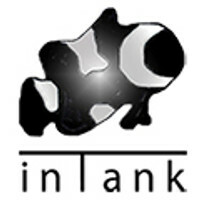 inTank recommends changing the filter floss once per week. Always feed with the filtration pumps off. Please make sure you do not overfill the shelves. Media can be dense and reduce flow. At times larger sizes of media can block the holes in the shelf. Tie bags to the shelf above to make sure these holes can receive proper flow. The JBJ designed filtration area on this aquarium is very skinny.